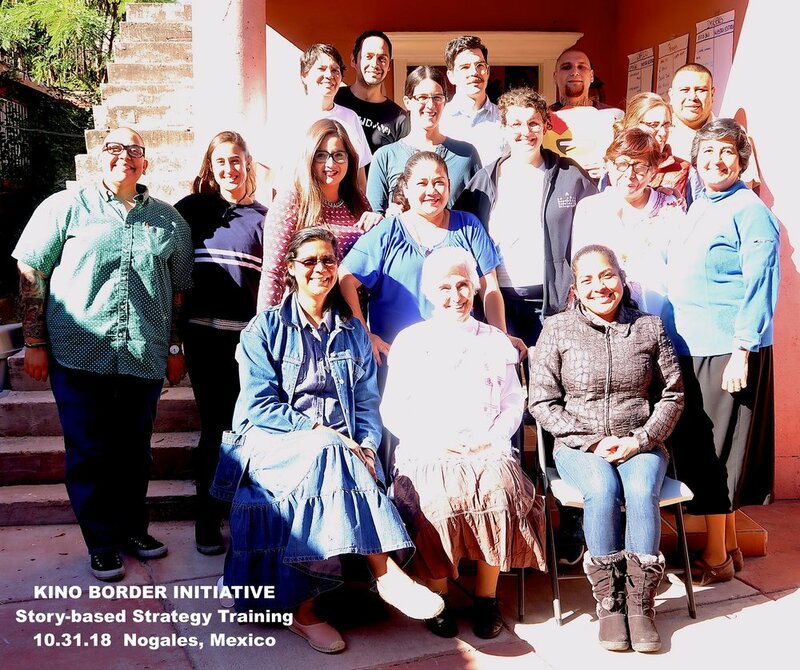 — Charles D. Thompson Jr.
At the end of October, we worked with the Kino Border Initiative (KBI), an organization doing powerful work to support im/migrants in Nogales, Sonora, Mexico. This organization offers food, shelter, legal support, and advocacy for humane immigration policies, affirming the dignity of every human being who comes through their doors. Last week, CSS trainers, Felicia, Mariana and Cristóbal had the opportunity to spend some days in Nogales working with KBI. Fifteen people, including Jesuit nuns from the Migrant shelter and soup kitchen along with community members who have been affected by the flawed and violent immigration and economic systems, were part of the collaboration. The reality of the Borderlands set in on our first walk around town. 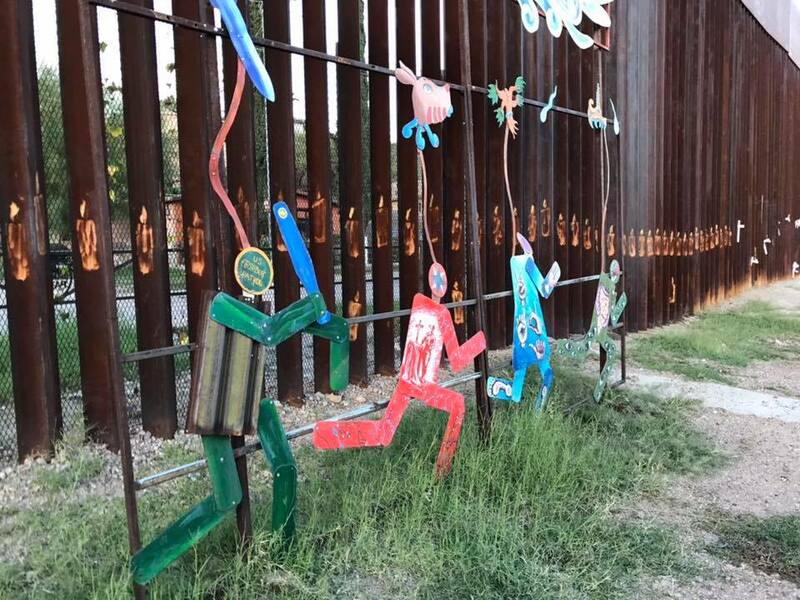 Cristóbal (CSS Trainer based in Nogales) and Marla from KBI took us to the memorial site of Jose Antonio, a Mexican teen who was murdered by the Border Patrol from the U.S. side of the fence, while he played with his friends on a Mexican street corner. The site of this tragedy is at the very foot of the border wall. Jose Antonio’s memorial is met with messages of resistance: “Chinga la migra!” graffiti reads on the wall across from the site. When it was time to head back to the U.S. side, as we were waiting in line at the port of entry, we passed a small migrant camp of families living there on the floor, waiting to be told when their turn is to ask for political asylum in the U.S. Some of them wait months; some make it and some don’t. It’s a never-ending quest to escape the harsh realities of our home countries. All this is happening while a few Republican white men litigate the worth of their existence through inflammatory tweets and soundbites. In this urgent moment, more than 7,000 people are moving together towards Mexico and the U.S. asserting their right to live with dignity. Their hope and imagination of a better world is powerful. In response to the unjust narrative that the migrants approaching the border are a threat to U.S and Mexico’s national security, we began crafting our narrative — one of resistance and vision. We spent a full day learning and sharing foundational SBS concepts and tools — from Assumptions Spectrogram to Battle of the Story to Fairy Tales. One of the key take away from our day together was challenging the dominant framing that migrants are only victims in this story, which invisibilizes the courageous decision to leave everything behind in search of a better life. With tools like the Drama Triangle we shifted the characters in the story to move the migrant caravan from being the “victims” to being visionary “she/he/themroes” who are at the forefront of the fight for justice. The people of the Borderlands know what’s at stake and the work that needs to happen to support the Migrant Caravan making its way to the U.S. It is our human responsibility to respond with undeniable love and action when moments like this happen. Step outside the box, push against the current and change the story. It is a true honor for the Center for Story-based Strategy to provide this training and we are looking forward to continue to support all people building a better world. Nominations are open for Top Social Justice Memes of 2018!